Glenrothes have confirmed that Chris Greaves is returning to the club as Head Coach. Greaves played for the club between 2011 and 2016, and was recently included in the Scottish international ranks. Club Director Greig Hopcroft told the club website: "Chris was hugely successful in the five years he spent at the club, and the players always enjoyed his coaching sessions. 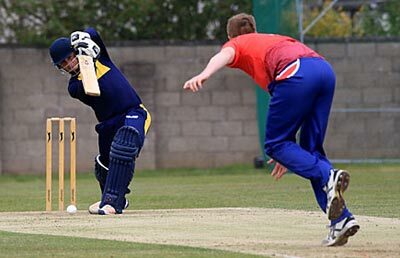 We know he'll be working around his Scotland commitments, as well as Forfarshire CCC and the Caledonian Highlanders; but he's on board and committed to helping the club as much as he can during 2019." Greaves added on the club site: "I've always admired the work ethic at GCC and will always think of my previous stint with fondness and many happy memories. The club is in a period of transition and need those with its' best interests at heart to step up. I'm one of those guys, and in spite of a hectic Summer ahead for me personally; I'll always be happy to help the club who helped me with those first steps in Scottish cricket."